My wife, Trina, and I have been licensed foster parents since October 2014. We like to say God chose this journey for us because of the events that led up to us deciding to jump in. We tried for a couple of years to have biological children and it just wasn’t the right time. We decided to do foster care with the intention of possibly adopting if it came down to it. Well, during around week seven of our ten-week licensing class, guess what happened? Yep, we found out “we” were pregnant. Our first son, Hayden, was born in January of 2015 so we chose to bond with him before taking our first placements. We have now had placements ever since June 2015. Since then, we have been temporary parents to 13 children and have provided respite for another 3 or so kiddos. The shortest time in care was 1 week and the longest has been around 15 months. We have primarily taken sibling groups, as they are normally the hardest to place and keep together… and we have the room for them. Funny thing is, when we first got licensed we were only going to take in one child at a time with the possibility of taking in two if it were a sibling group. Today, we are fostering three kiddos ranging from age 3 to age 10 and we also have our secondborn son coming near the end of April 2019. Our time in the system has been exhausting, emotional, and just physically draining, but also filled with numerous beautiful moments. From the start, we made it a point to partner with the parents of the children we have, if allowed. This has allowed us to pour into the parents so that they can go on to pour back into their children. As a result, we still have relationships with several of the children we have fostered, as well as their family. They come to birthday parties, Thanksgiving dinner, spend the night, etc. People tell us all the time, “I don’t see how you guys do it. I know I couldn’t.” Well, honestly I don’t know how we have done it either. Parenting kids from hard places is just that – hard. Some of the behaviors that stem from all of the trauma these kids have experienced can be hard to handle and extremely exhausting. Oh, and yes, you could do it too. Most people who aren’t involved in foster care, however, misunderstand what it really looks like. I think this is due to how the media portrays foster care sometimes. It is hard to really comprehend what foster care does for vulnerable children unless you are involved in some aspect. To help bring the truth to light, I am going to give some myths as well as what is actually true from our experience. Foster parents are in it for the money. We, as well as the foster parents we know, love these kiddos like our own and would do whatever it takes to keep them safe and show them love. 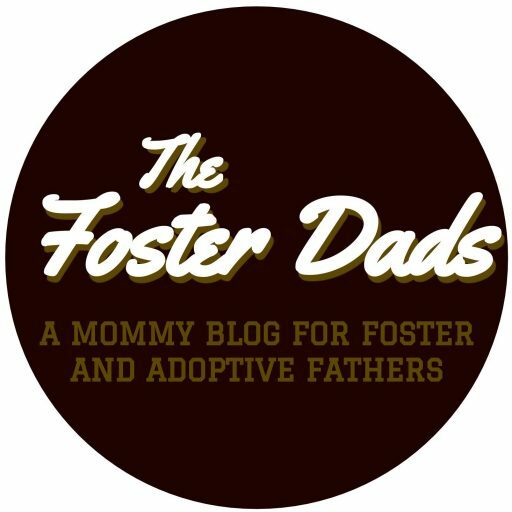 Do foster parents get paid for fostering? Yes, but when you take into account what all is needed for each child, the money is barely a drop in the bucket. When you care for a child who needs therapeutic care, therapy, and counseling, as well as doctors’ appointments, court hearings, meetings at DHR, and school, the payments seem minuscule. I can’t do foster care. My wife and I both work full-time jobs. My wife and I work full-time jobs and currently foster three kiddos, have one bio son, one eleven-year-old husky/lab mix dog as well as a cocker spaniel puppy. You can do it. School-aged children go to school during the day for the most part, and then to the local YMCA for after-school care until we get off. Our 3-year-old foster son goes to a daycare that is mostly paid for by the state through a subsidy program that foster parents have access to. During the summer, there are plenty of day camps and daycares that can help. It will cost too much to keep kids. I’ll have to provide clothing, insurance, etc. if I foster kids. All foster children are on Medicaid through our state program. This pays for medical, dental, and vision. Of course, you are limited to the places that accept it, but it is there for you to use. Also, there are plenty of local churches, foster clothing closets, and organizations that can help with anything from backpacks for school, clothing, shoes, and even toiletries free of charge. You just have to research for your particular city/state. But I have no control over the children they place in my home. Yes, you do. When you receive a phone call from a worker needing to place a child right then and there, you can still say, “no.” You can choose to foster a child of a certain age, gender, race, physical ability, etc. When you go through your initial licensing class, you can get a good gauge on what type of child you might be best to foster. Birth parents are horrible people and you shouldn’t talk to them. Partnering with birth parents is the best way to help the children in your care. I like to call it “co-parenting.” More times than not, the birth parents have experienced as much trauma as their children have. No matter how scared you might be to talk to the birth parents, do it. There may be times when they resent you or dislike you because they think you are trying to take their place. You aren’t. You are there to parent that child, to keep them safe, and to love on them while their birth parents work on getting themselves better. Remember, the goal of foster care is reunification, whether that be with the birth family or a relative. Don’t go into it thinking you are going to adopt right out of the gates. We know people who have fostered for years only to have the birth parent or relative reunify with their child again. Birth parents are not horrible people. Yes, they may have done some bad things in the past, but they are human beings just like you and me. They make mistakes like you and me, and they deserve love and respect like you and me. Children don’t want to, or shouldn’t be with, their birth parents because they are bad people. Children almost always want their Mom or Dad, no matter what they were put through. This is probably one of the bigger myths. There have been countless nights when one of our kiddos have cried out wanting their Mommy or Daddy. We try our best to keep communication flowing between the children and birth parents when we can. No matter how bad the child’s situation was before, there is always something deep down that wants to be with their Mom or Dad. Kids can bounce back quickly because they are resilient. There is some truth to this; however, they are only resilient for a little bit of time. After this is when the trauma takes over. This is why there are sometimes issues with children attaching to caregivers, because they have been moved from foster home to foster home. This is why it is important to not give up when times are the toughest. My wife and I have always made it a point that, no matter how hard it is to parent a child, we will try our best to find the resources needed to keep them in our home and offer the stability and structure that these children often need. The Department of Human Resources (DHR) has the final word when it comes to the children in their care. Judges normally have the final word when it comes to the children and, sometimes, the judge will disregard DHR or someone else’s recommendations. This is one of the most frustrating aspects of foster care. When you do all you can to advocate for the child with your social worker and they agree, but then it’s completely reversed by a judge, it can be crushing. The best thing to combat this feeling is to know what you are getting into. Everything is not always going to go the way it should, or the way you think it should, every time. Knowing this upfront can help you mentally prepare for it. Foster care isn’t worth it. It’s too stressful and there is no hope for these families. There are so many examples of how much hope there is in foster care – from our first placements saying, “You know what, Brandon, I love you,” to watching a child who has never been shown true love open up to you and give you that first awkward hug. The results may not be immediate — it may take years to “see the light.” Just remember, you are parenting kids from hard places and it will take some time and consistency to build that trust with them and see the positive changes occur. When you have the ability to change a child’s life or even their life trajectory, there is always hope. Brandon Bishop is the biological dad of one (and one on the way), foster dad of three, and human dad to one dog and one puppy. He and his wife, Trina, live in Madison, Alabama and have been fostering for around 4 years now. Brandon is currently Director of IT for Worldwide Express – B.V. and also serves on the Board of Directors for the Madison County Foster & Adoptive Parent Association, where he helps with the marketing and fundraising efforts for the association – https://mcfapa.life. Pingback: Article on The Foster Dads Website - Madison County Foster & Adoptive Parent Assoc.